Fernando Alonso probably won’t be celebrating one of his Formula 1 milestones this weekend in Barcelona. Alonso has expressed worry at the high level of winner predictbility in the top race competition. Alsono, 36, was also asked in Barcelona what would be cause for bigger celebration at this stage of his career — an F1 win this weekend in Barcelona at the Spanish Grand Prix or a WEC win in sports cars at Le Mans in June. 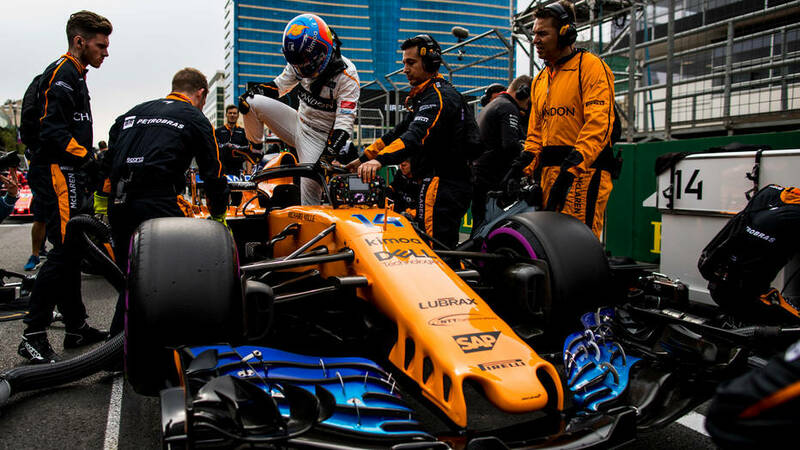 Alonso also steered clear of saying that last weekend’s victory at Spa was enough to energize him or his team for a big effort — or even a win — this weekend in Barcelona. “The win last weekend in Spa will not change anything,” Alonso said. “I think it’s two different series and two different worlds. It will not change anything for me. Every time that I will have a car that is close to victory, I will go for it. I did some better races in the last five years, even if the last victory was five years ago.